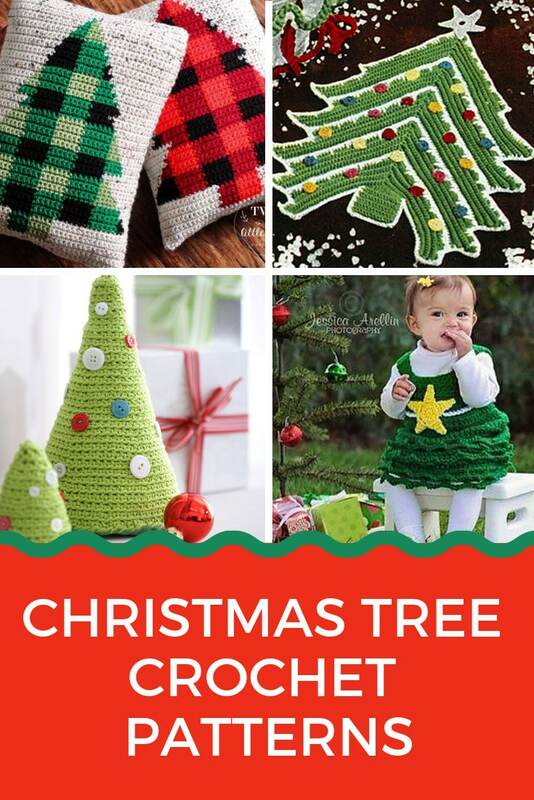 Looking for cute Christmas tree crochet patterns for the Holidays? We’ve got all you need, from cats to hats and blankets to pillows! 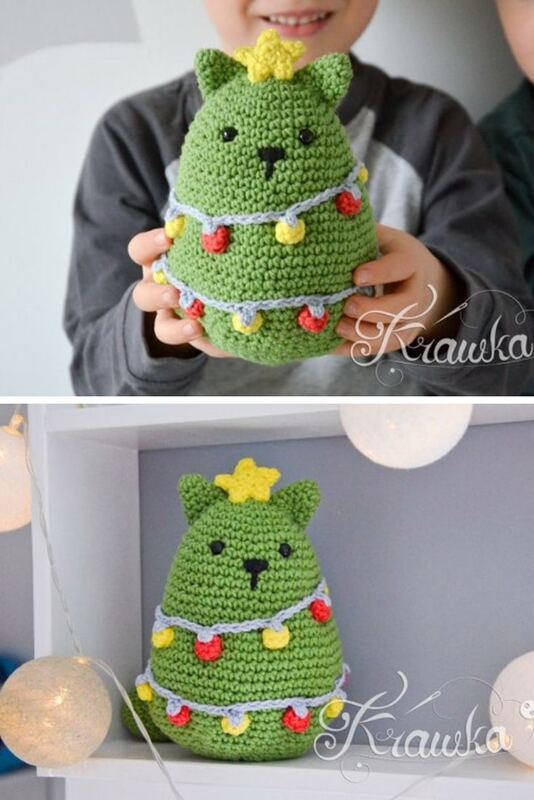 This week I’ve shared some incredible crochet Christmas decorations, and some adorable Rudolph patterns and I thought I was done with the Holiday stuff… and then I saw the CUTEST cat all dressed up as a Christmas tree and I knew I had to share him with you… as well as some other fabulous Christmas tree crochet patterns… because one pattern is never enough right?? And here he is! Totally ADORABLE right?? 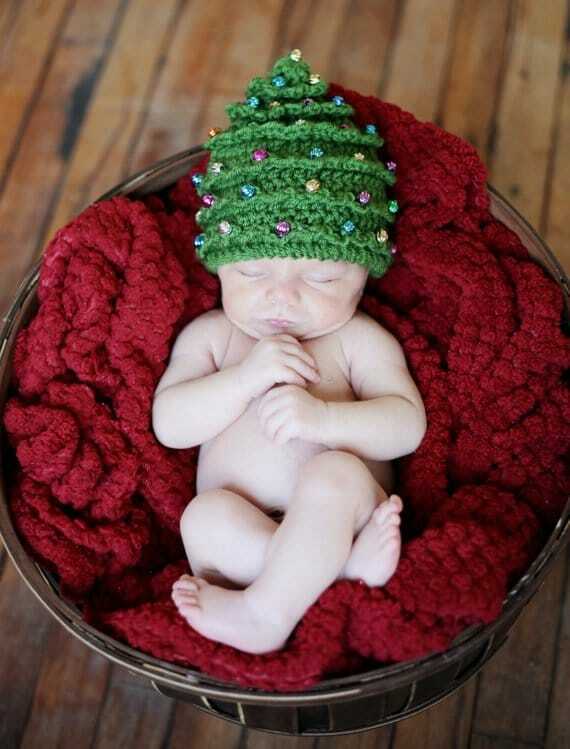 I love how he’s all pudgy and decorated with lights and has that little star perched on top of his head! 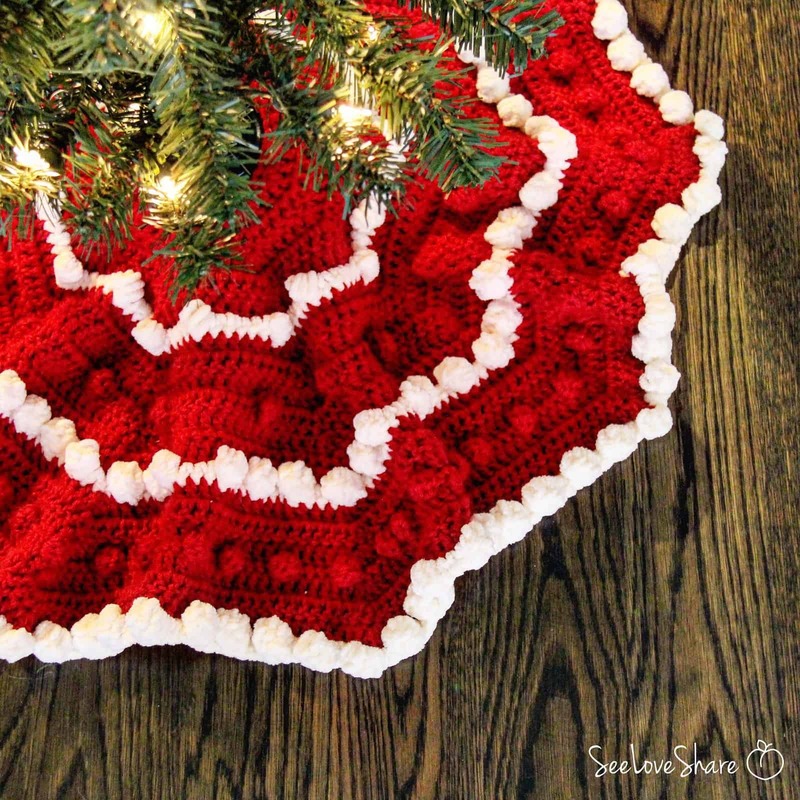 Ok so technically this isn’t a Christmas tree pattern… but it’s a skirt for a Christmas tree, and I think it’s BEAUTIFUL so I’m sharing it! I just love those bobbles! 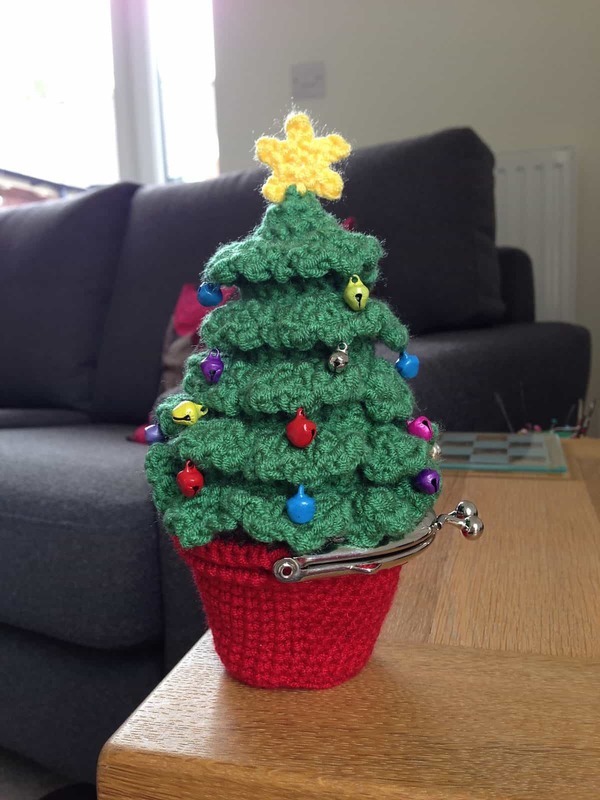 Shall we get back on track with an actual Christmas tree that you can hook and then sit on your mantel, or on your desk at work to share the Holiday spirit! 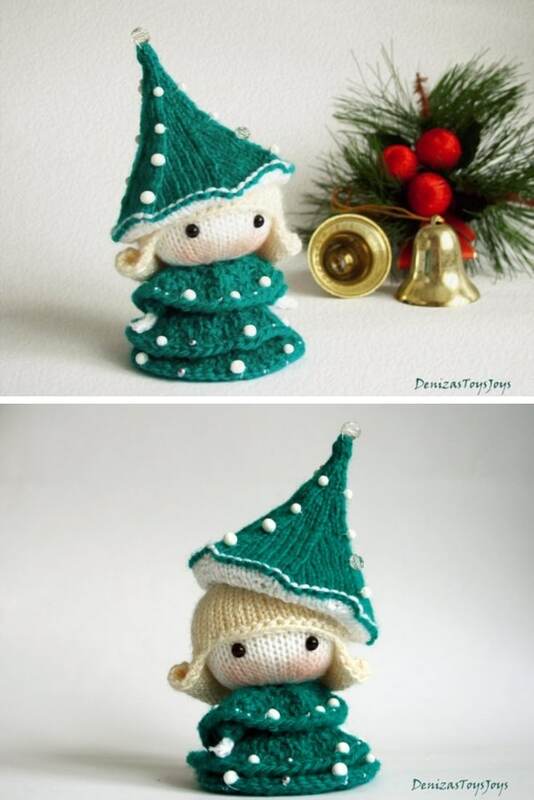 Or how about this sweet little crochet doll all dolled up in her Christmas tree dress! 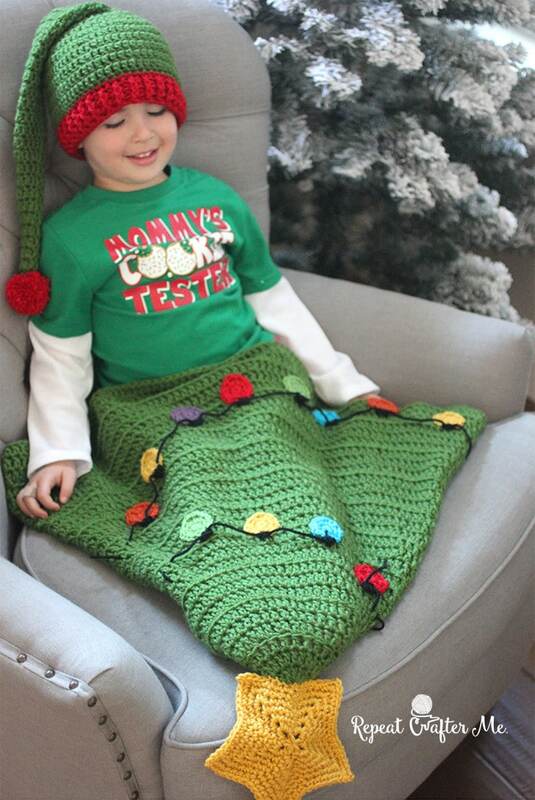 She’d make a fabulous Secret Santa gift, or a stocking stuffer, or maybe even a festive addition to your fairy garden! 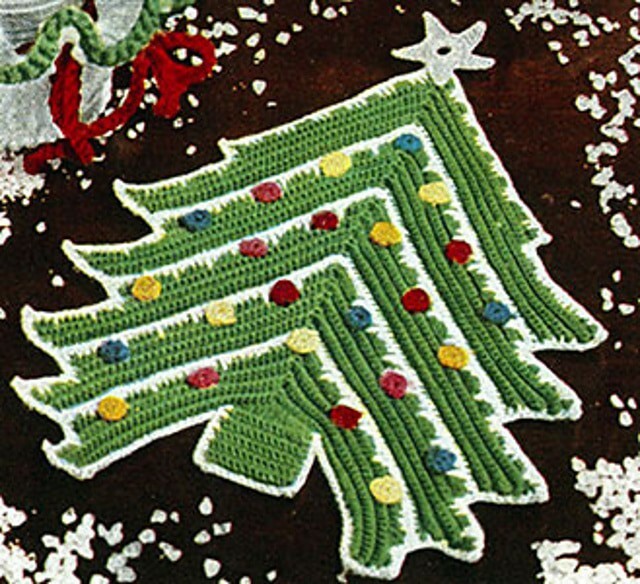 Speaking of Christmas tree dresses here’s another one, only this pattern is for a girl’s dress! 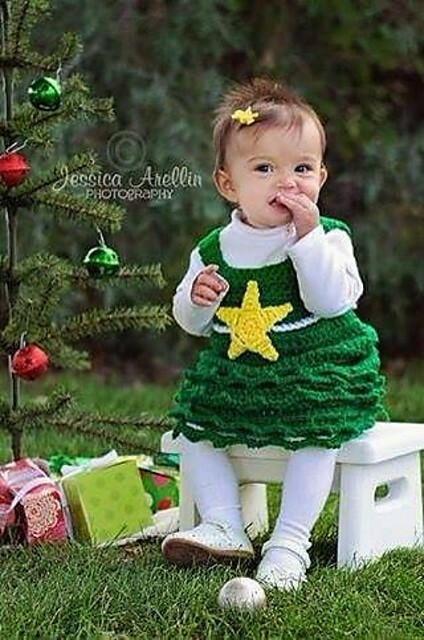 Aww think how adorable your little one will look on Christmas Day wearing this gown! 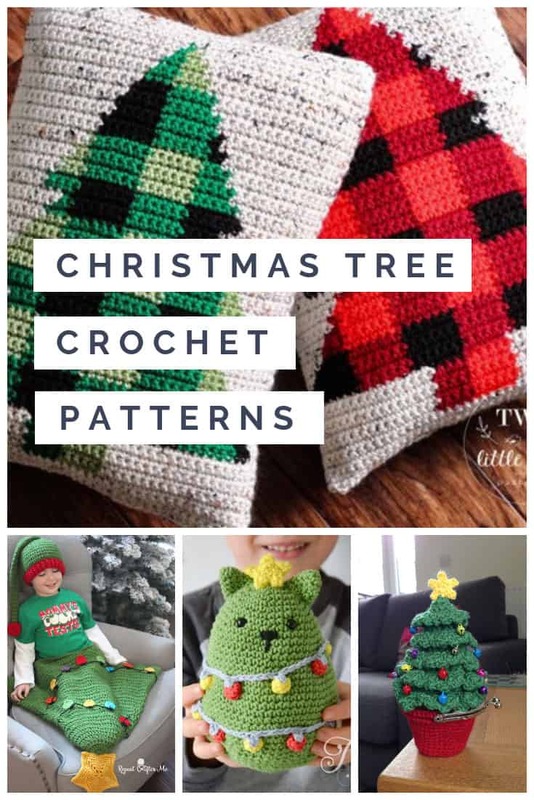 If you’re looking for homemade hostess gift ideas for someone who LOVES the Holidays how about one of these fabulous Christmas tree potholders? It’s a gift they’ll cherish for many Christmasses to come! I don’t think I’ve ever seen anything like this before! So sweet, and so clever, and the perfect purse for your Christmas parties! This year everyone’s been going crazy for the mermaid tail, so why not festive things up and make a Christmas tree version instead, complete with fairy lights! 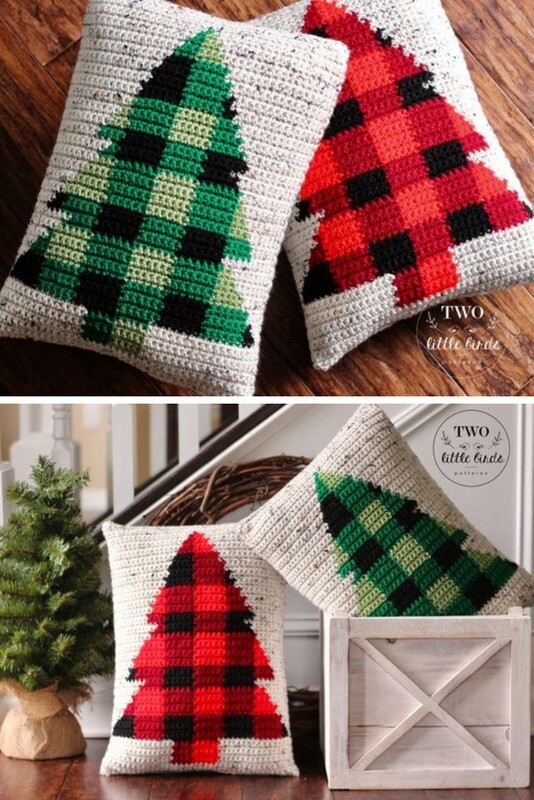 If you’re a Fixer Upper fan and you want to add a farmhouse feel to your Holiday decor this year you NEED to hook up a set of these WONDERFUL buffalo check rustic pillows! 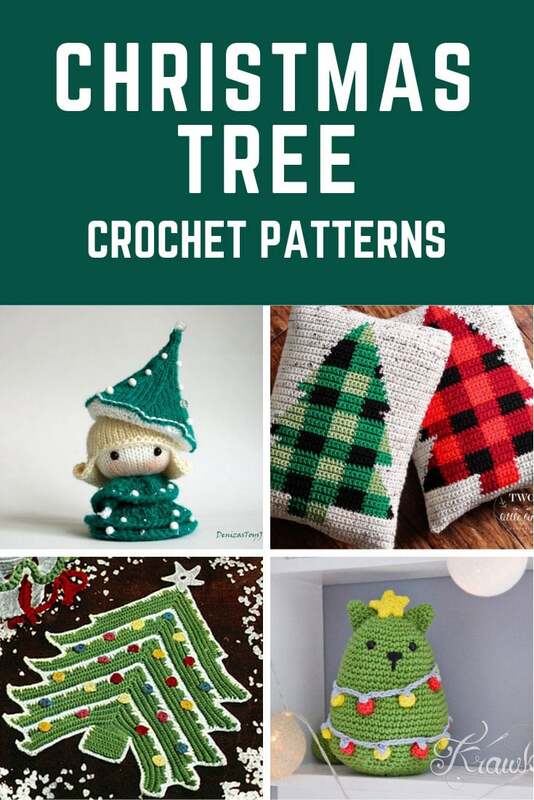 And let’s finish up this collection of Christmas Tree crochet patterns with an actual Christmas tree. 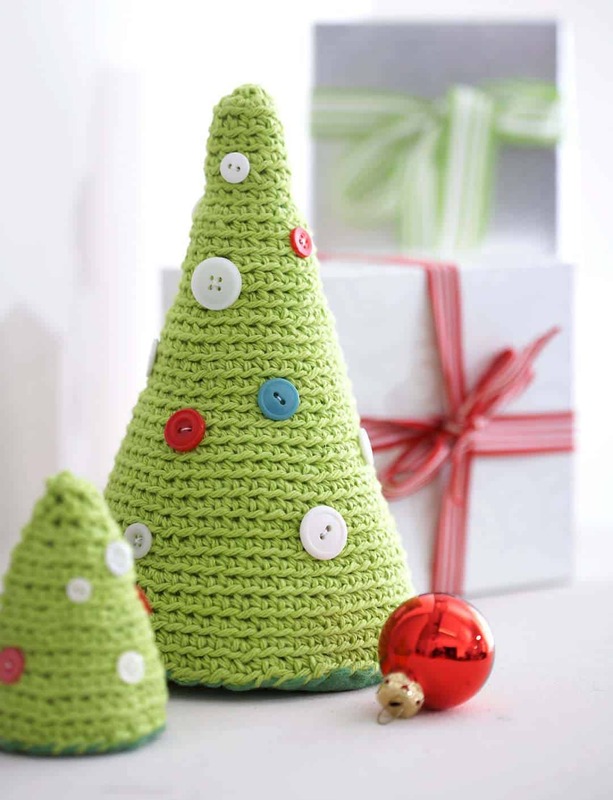 I LOVE the buttons that have been used as ornaments and think these cone shaped trees will look FABULOUS on your mantel or as a table centerpiece! So which project do you think you’ll add to your list? 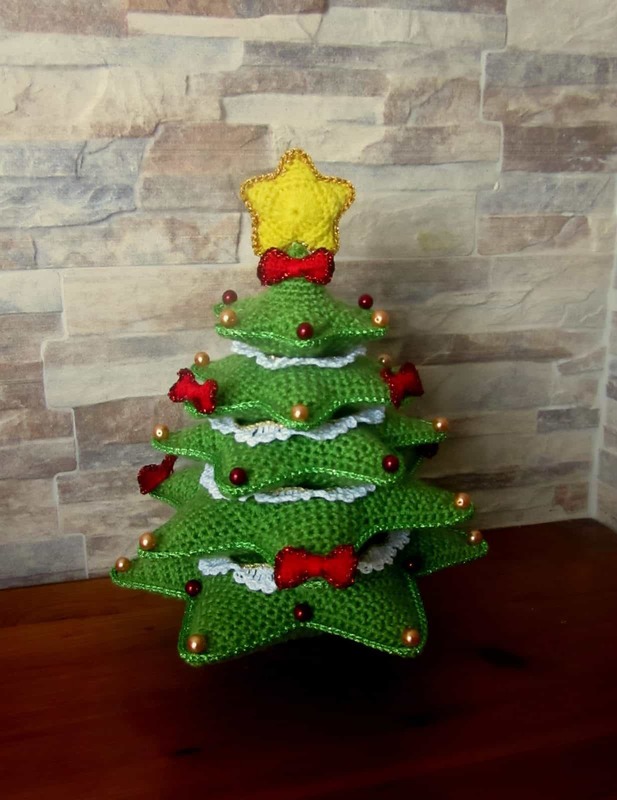 You can leave us a comment to let us know, and if you have a photo of a completed Christmas tree inspired crochet project click here to share it with us!